Dave didn’t have a boat at this point but after today’s session he was keen to get back out on the water. 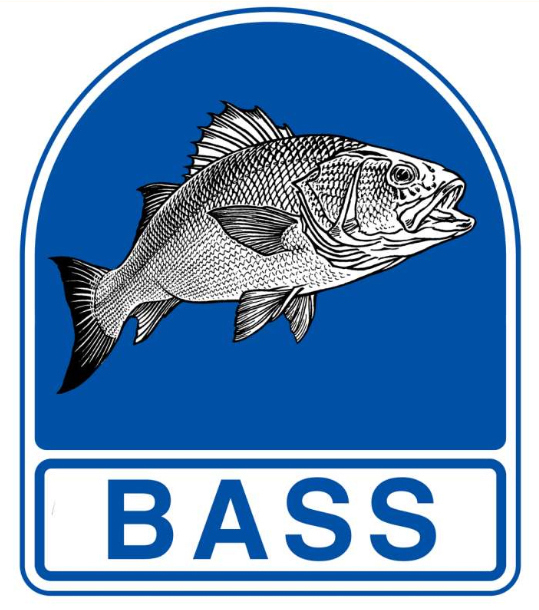 The day started slow but Dave still mananged to tempt a bass to the surface almost instantly over the reef. We headed off to try for some pollock over a rock that I thought I was starting to understand. Firstly I have found a feature that holds fish. Determining the state of tide to fish movement and location along with behaviour I can only say will come in time. Maybe this is always going to be different? maybe after 5 years of fishing this one rock maybe I’ll understand it better?? Well it started off ok, I thought it was a good state of tide. 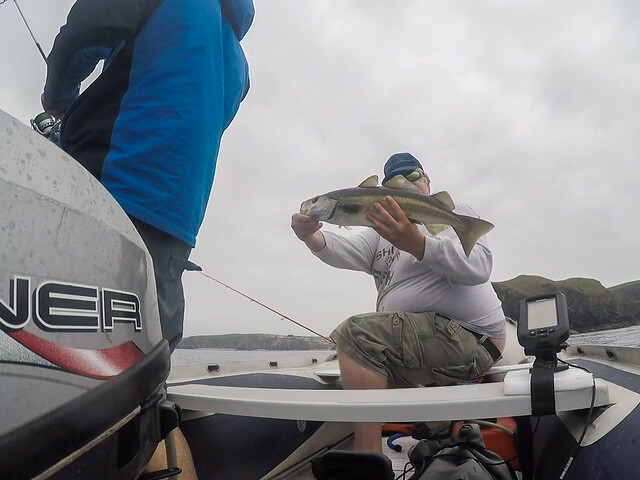 Well it was the same as ”the best session I have had here” so that’s what I thought and to me high down has always been good for me when fishing from the shore and normally coincides with a moon phase period… I landed a few pollock on 120 Fiiish minnows all in the 4-6lb which for me is an ok stamp of fish and fun for a good scrap on my now boat rod the Teklon concept 8ft 10-40gm. I was mainly fishing them tight to the bottom, just sink and draw but one nailed me on the retrieve up. The fish finder at this point showed nothing… either mine is crap (which it is only cheap) or you can’t see fish that are sat in tight to the bottom and in the kelp… the latter is what I have come to believe. So nothing doing and we returned to my favoured rock though it’s low tide now and about to turn. Now the from memory the first of the push is also normally a moon phase period. Though this does change each year by an hour or two from what I’ve seen. Well there was certainly more activity now. Though I couldn’t buy a bite on the Fiiish minnow. Dave put on his Crazy eel and kept it away from the bottom. Now on the fish finder there was fish sitting in tight behind the rock as you’d expect but I guess higher in the water also? I still couldn’t get them to take a Fiiish minnow in anyway I fished it, yet Dave would get nailed every cast on Crazy eel fishing it with a good rip of the rod to get that tail working. There is a time and a place for every lure. From the shore lure selection has always been vital but on the boat I had the perception it was easier/that the fish where less fussy? Well I got that wrong and the fish are still fussy and will only eat what they want when they want. I have since used the crazy sandeel from the shore and when I needed that rattle and vibration in rough murky water it produced the goods. The rattle then fell out and I had no more fish that day. I haven’t really used it from the boat much but did risk on a mark the other day and it got nailed every drop until I lost it. To me rattles make a big difference and on some days really do stand out. Other days when the fish are finicky/fussy maybe the silent way is the only way to fool them. I’ll try and experiment a bit more with rattles in paddletails. 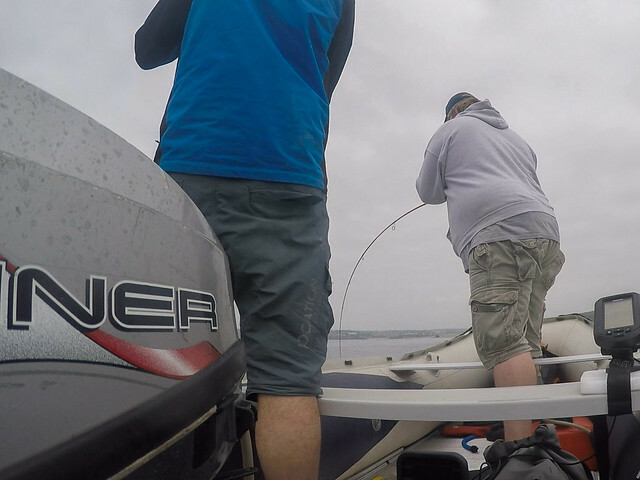 This day also showed the fish finder is useful for seeing when there’s fish there that you can’t catch and it doesn’t always paint the right picture when there’s nothing there either… Lessons learned on this day! This was pretty much the last of the summer fishing for me in 2016 back in June. I managed a couple more sessions after this but I was soon working away from home until I took off some needed time in October. But that was real fun… post to follow! 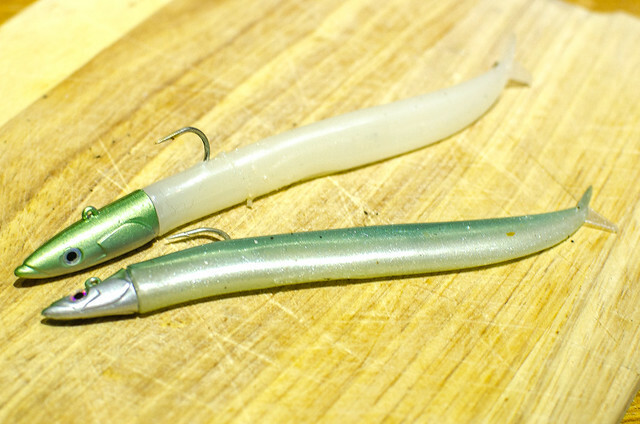 The Fiiish crazy sandeel… This shouldn’t really surprise me and to be fair it’s not so much about the lure as the fish. But on it’s day the Crazy sandeel showed me ”how” it was done and I was taught another lesson on the boat. This was early season?????? and I had only just started to use a fish finder. Well it started off ok, I thought it was a good state of tide well it was the same as ”the best session I have had here” so that’s what I thought and to me high down has always been good for me when fishing from the shore and normally coincides with a moon phase period… I landed a few pollock on 120 Fiiish minnows all in the 4-6lb which for me is an ok stamp of fish and fun for a good scrap on the 10-40gm rods. Mainly fishing them tight to the bottom just sink and draw but one nailed me on the retrieve up.The fish finder at this point showed nothing… either mine is crap (which it is only cheap) or you can’t see fish that are sat in tight to the bottom and in the kelp… the latter is what I have come to believe. 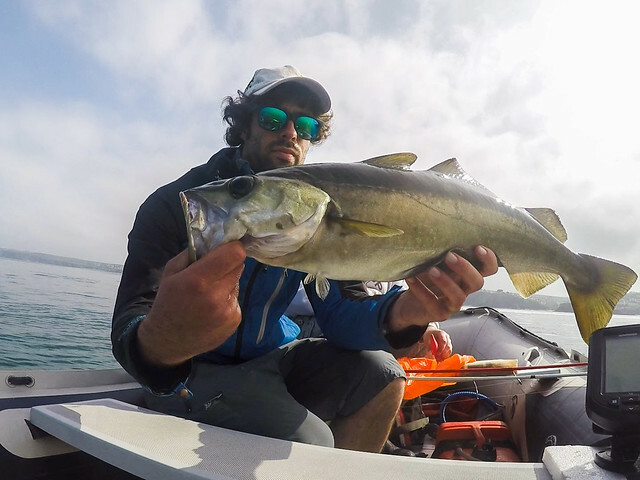 This entry was posted in The Fishing and tagged Bass, Boat, Crazy eel, Fiiish, Pollock, SIB. Bookmark the permalink. Nice catches! I agree that from the shore the lure selection is bit more important, because off-the-shore there are other factors that play larger role. 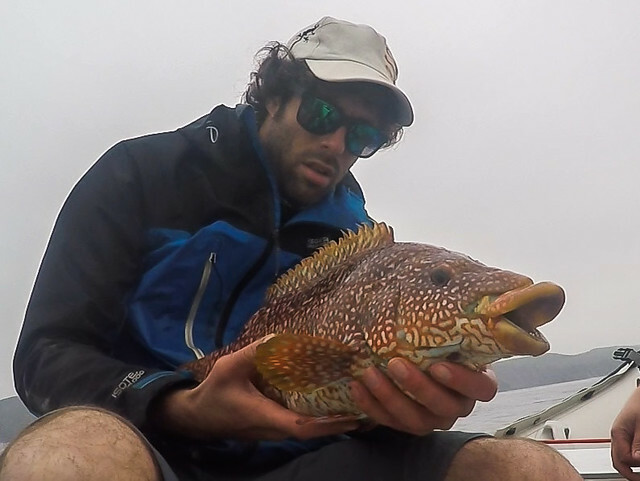 Really nice catches in this post, especially the wrasse.